Rowan, Arthur Blennerhassett, Archdeacon of Ardfert, son of William Rowan, of Arabela, County of Kerry, was born near the close of the 18th century. He was an author, an able pulpit orator, and at one time held several local offices at Tralee. For more than thirty years he officiated as curate of Blennerville, not being confirmed in the archdeaconry of Ardfert until 1856. 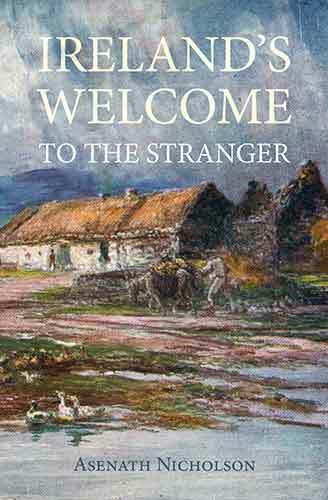 In literature he devoted his talents both to divinity and history, particularly to the history of the County of Kerry. He was also a contributor to the Gentleman's Magazine and Notes and Queries. The former enumerates thirteen of his works. The principal of these relating to Ireland were: Killarney Lake Lore (Dublin, 1853), Memorials of the Case of Trinity College in 1686 (Dublin, 1858), The Old Countess of Desmonde (Dublin, 1860) — replied to by Sainthill, an article in the Gentleman's Magazine for June 1849 — Historic Doubts respecting the Massacre at Fort del Ore. He died 12th August 1861, and was buried at Ballyseedy.